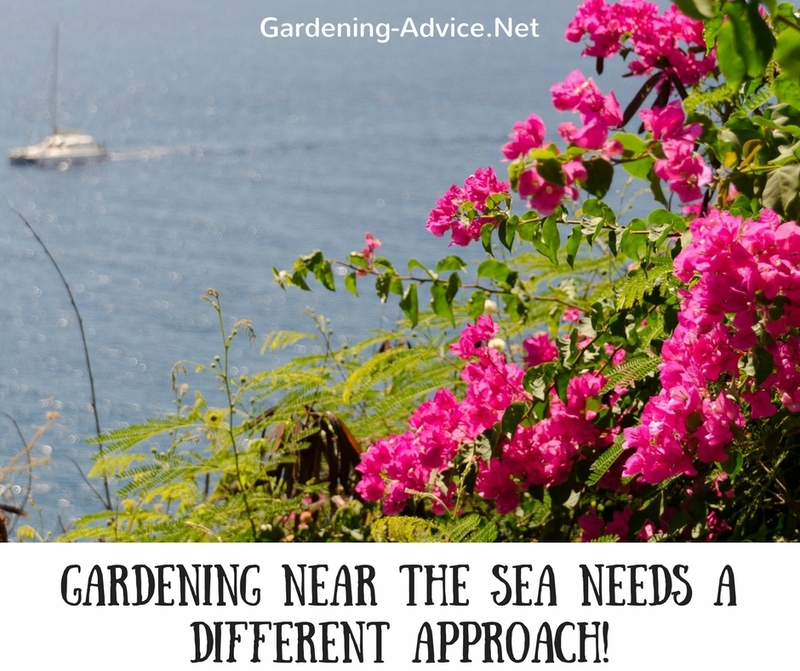 Coastal Gardening Needs A Different Approach! Coastal gardening has taught us many tough lessons over the past years. We are living on the windswept Atlantic coast of south-west Ireland. After moving here from Germany 20 years ago we soon realized that gardening here needs a completely different approach. If you live in a coastal area you have to learn to deal with wind and salt spray. 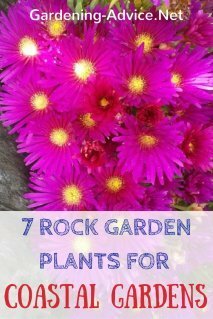 To create a successful garden you need shelter from wind and learn about suitable seaside plants that will put up with these conditions. The benefits of being near the sea though is a generally milder climate with less frost. 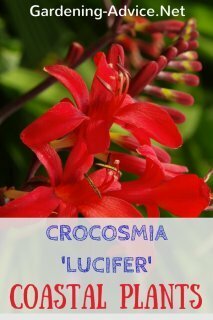 This allows us gardeners to experiment with the more tender plants that can create that exotic looking coastal garden. 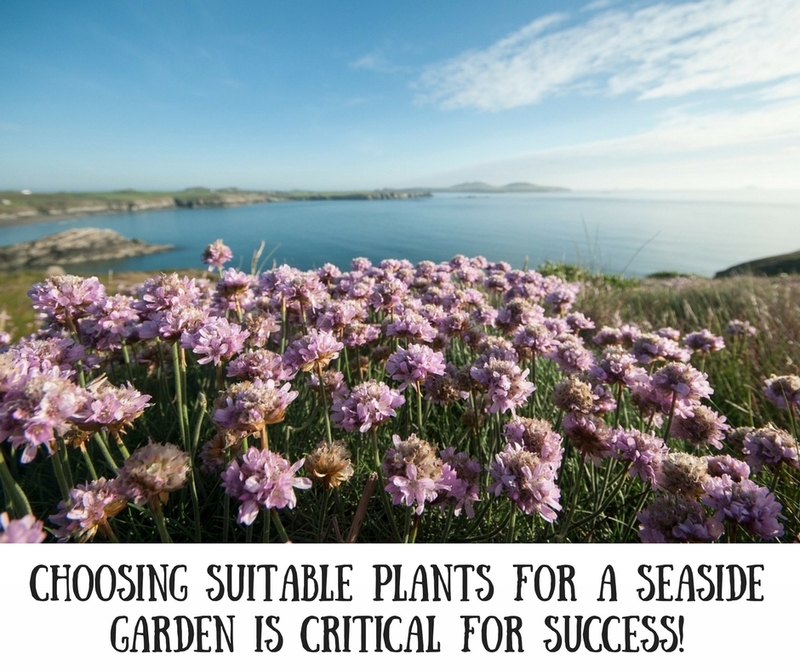 Having a garden in a coastal location forces you to have a different approach to gardening. 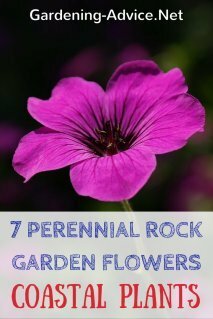 If you garden here like in an inland garden you are more than likely going to fail. 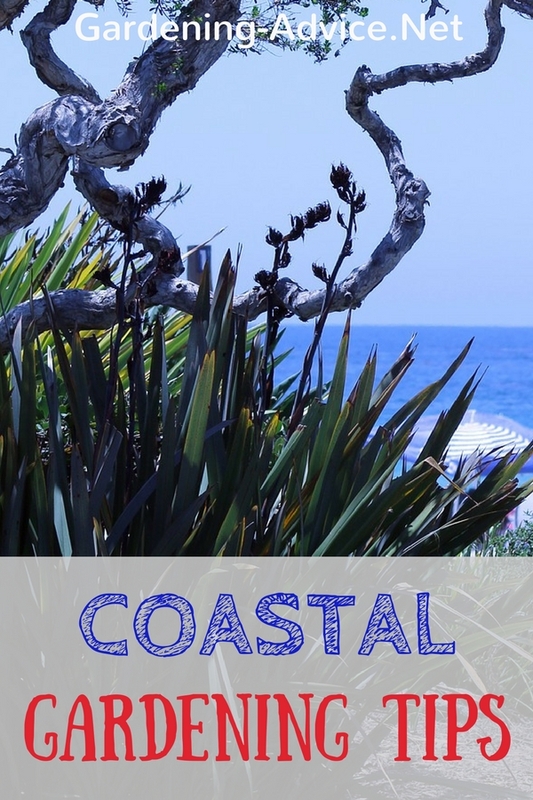 Coastal gardening means thinking about shelter from wind and choosing seaside plants that will withstand the maritime climate. 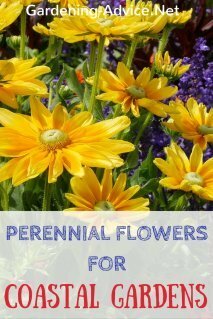 Of course, you have to think about soil, drainage, sun or shade like in any other garden. The most important thing for a seaside garden, however, is shelter and creating a micro-climate. 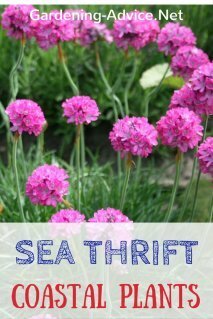 This is the ultimate starting point for any coastal garden and the key for success seaside gardening. 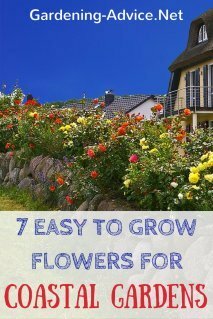 Without sufficient shelter, you won't be able to grow the more delicate plants. The salt-laden winds would just burn and destroy them. The day after the first serious gale you will find them very sad looking with burned and blackened leaves. 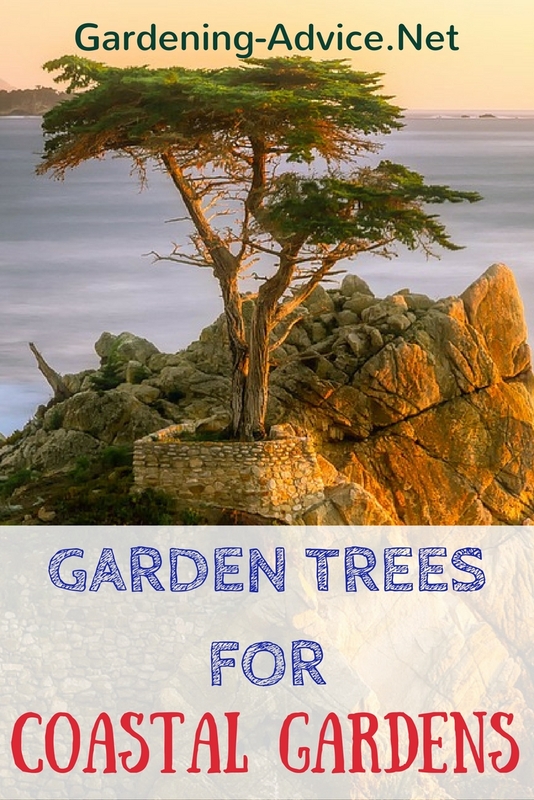 In a coastal garden, you need hedges, trees, and shrubs that can tolerate these conditions or manmade structures like walls, fences or banks that will act as a windbreak. 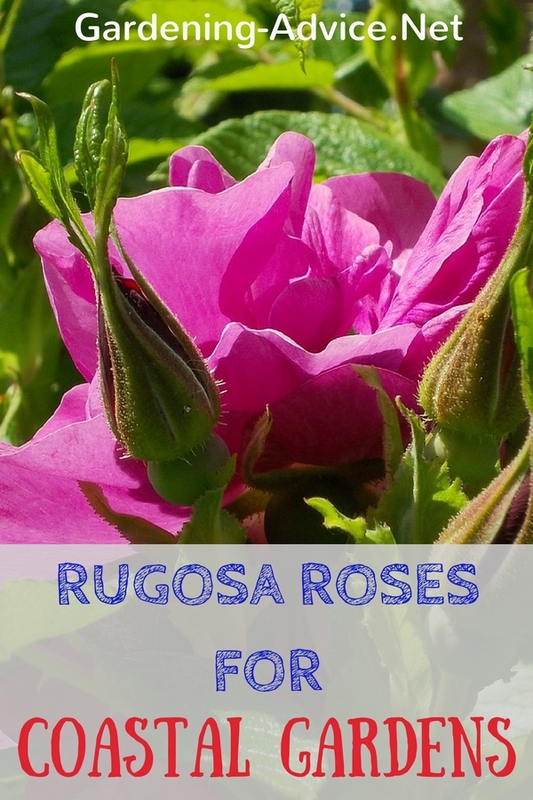 These will reduce wind speeds and protect the more delicate plants. 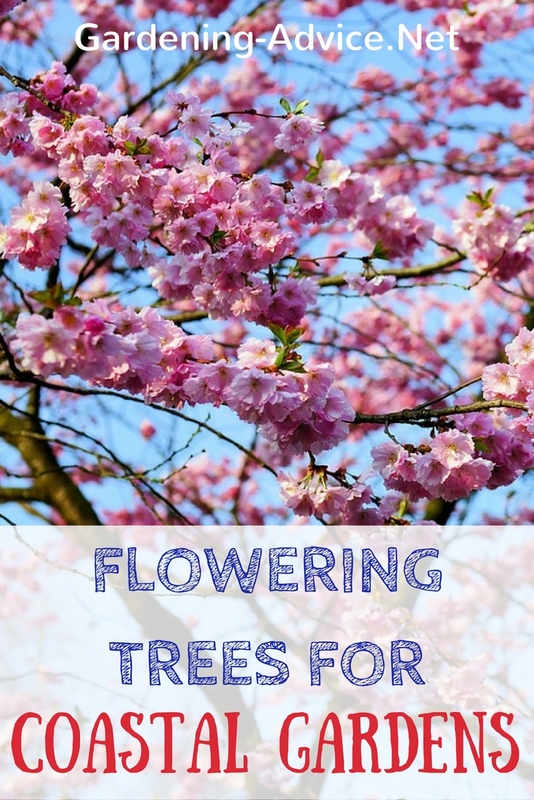 You have to think about the main wind directions and establish trees and hedges to break and reduce the wind. 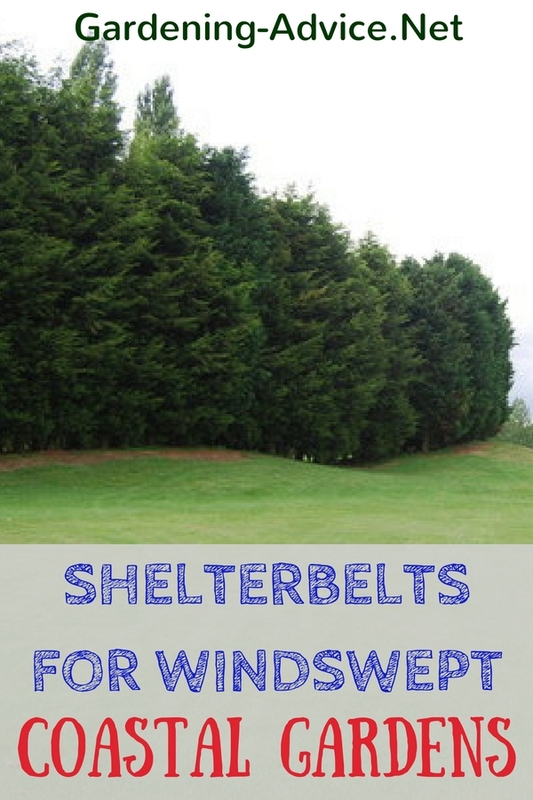 If you want to shelter a big garden you can combine trees, shrubs, and hedges to a shelter belt with varying heights. The more height the bigger the area behind the shelter belt that will be protected from the wind. 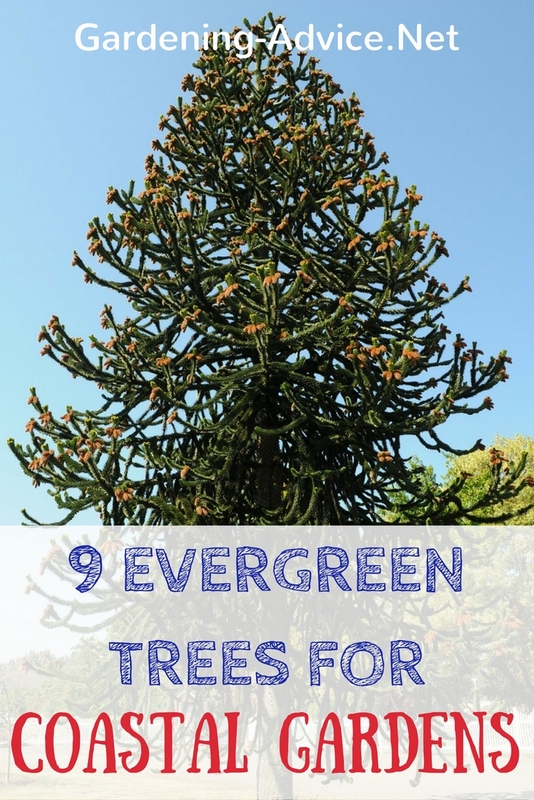 Evergreen plants provide their shelter, of course, all year round and should form the foundation of your shelterbelts. 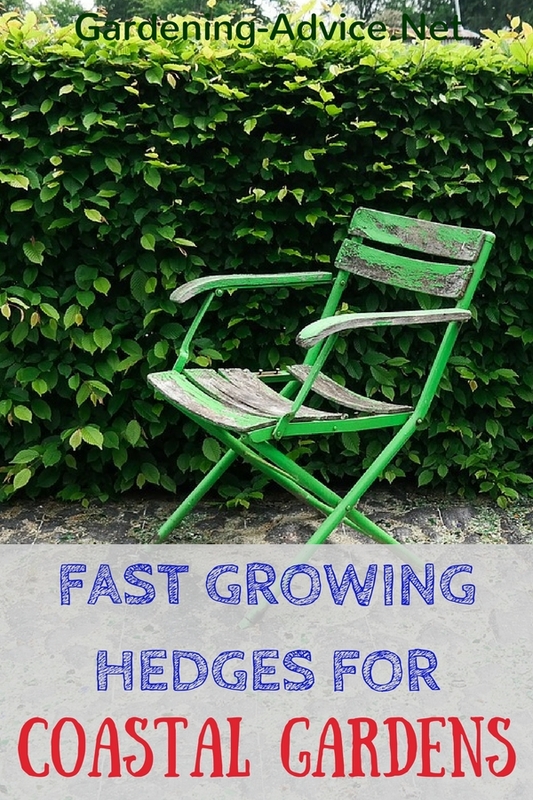 Need a fast growing hedge? Check this page! 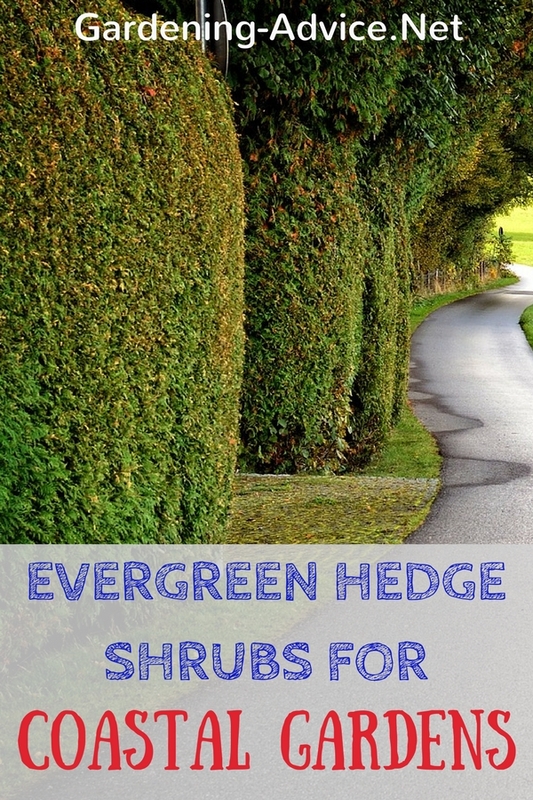 Check out the best evergreen shrubs for hedges here! 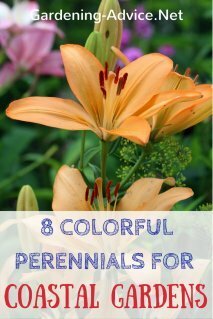 I often saw people in our garden center who wanted an instant, colorful garden. I think that is not possible in any garden (unless you spend lots of money) particularly not in a seaside garden. Shelter in the form of trees, shrubs, and hedges need to grow and establish. This takes time! 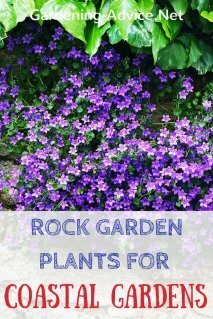 These plants are often not the prettiest or most exciting but they grow in seaside conditions and provide shelter for other plants. 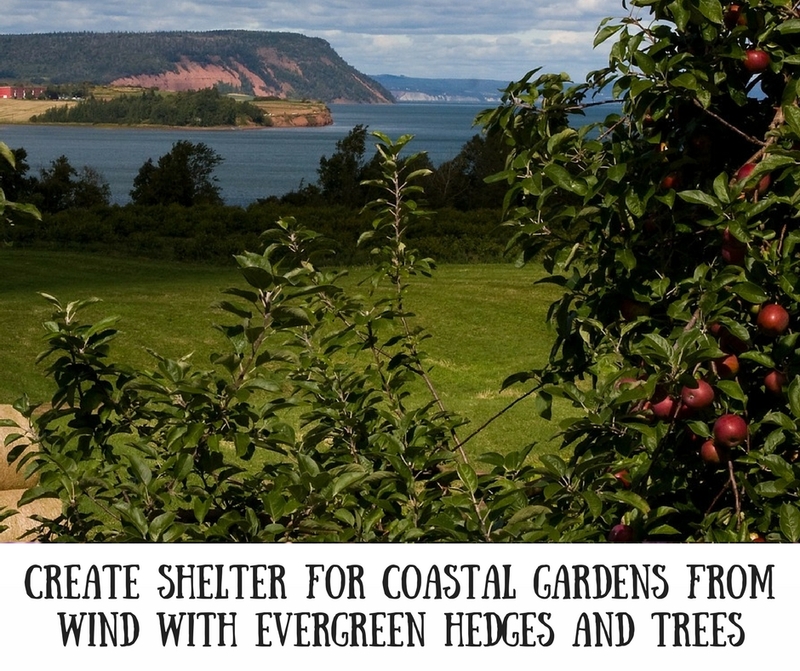 You can use hedge shrubs and trees to create an effective windbreak and shelterbelt. Young hedges, shrubs or flower beds can be helped along with windbreak netting. This will provide temporary shelter that can be removed when the plants are established. 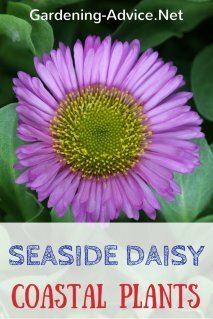 Good seaside plants are able to withstand salt spray, wind, and sand that comes with the breeze. 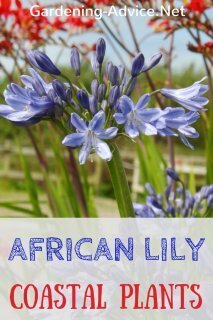 Their foliage is tougher and often protected with a waxy layer or tiny hairs. 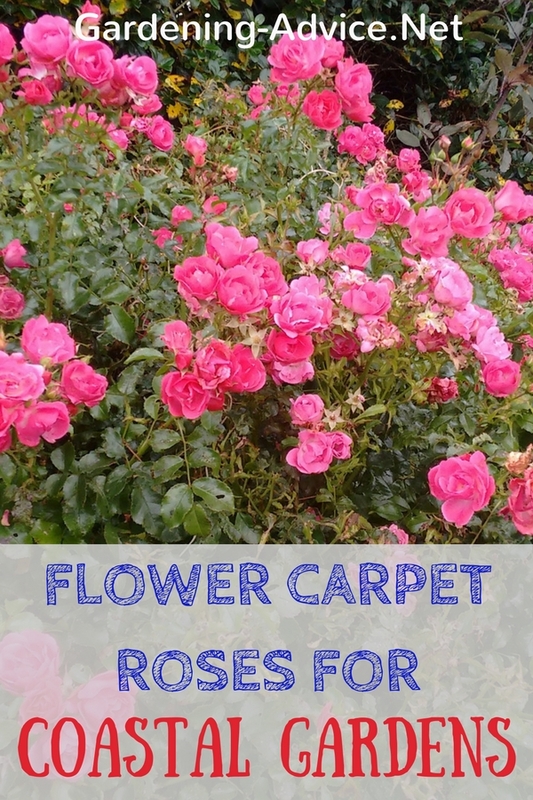 Some roses make great seaside plants. 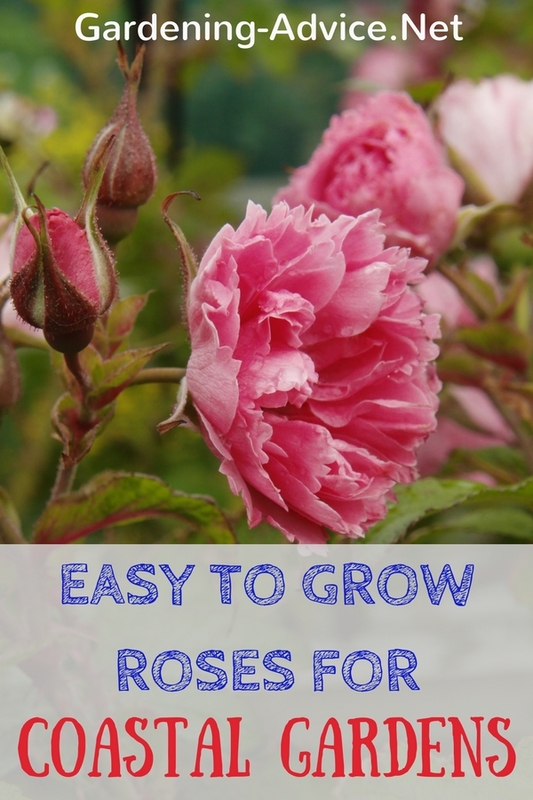 Check out these pages for info on roses for coastal gardens. You also have to know your garden. Some parts might get hit more by the wind than others. Wind tunnels can be a difficult problem. 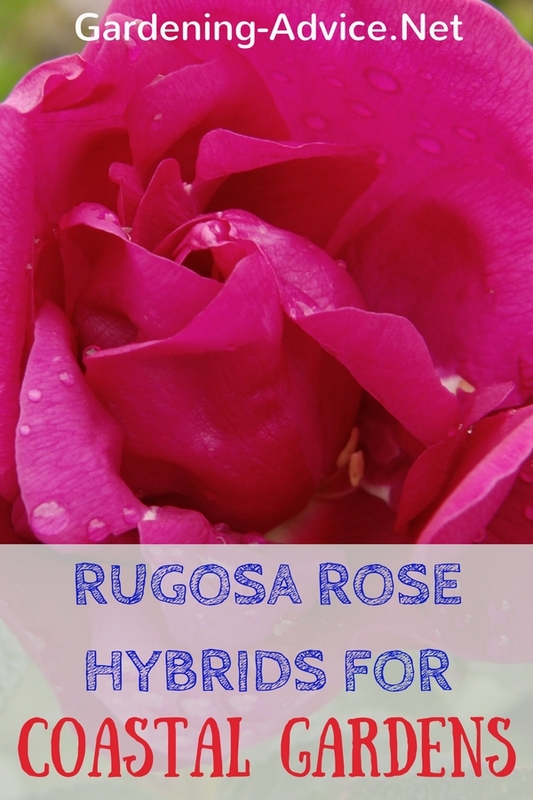 They often develop between two buildings or a building and a hedge. The wind gains in speed when forced through those narrow spaces and that has a detrimental effect on plants or garden structures. Fences or gates can easily be blown to pieces in those spots during a bad storm if they are not secured well.